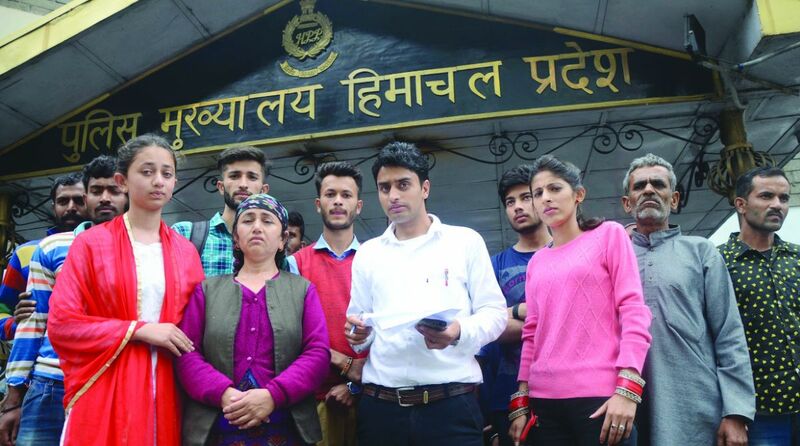 Holding protest that lasted till the wee hours of Sunday morning, they also demanded police security, compensation of Rs 20 lakh and government job for the victim’s family and arrest of all the accused involved in the murder. Kin of RTI activist Kedar Singh Jindan. Kin of slain RTI activist Kedar Singh Jindan, along with social activist and public on Saturday night, held a protest along with his corpse on the historic Ridge demanding justice for his family. They have also demanded for the shifting of the case to Shimla. Jindan was allegedly brutally murdered and crushed under a vehicle on Friday in Sirmaur district, while he was returning home. On the request of his family members, Jindan body was brought to Indira Gandhi Medical College, Shimla for post-mortem. The body was later handed over to the family. The angered family members along with social workers and Communist Party of India (Marxist) leaders and workers along with public took to protest to express their anguish against the brutal murder that happened in the broad daylight. The protesters raised slogans against the deteriorating law and order situation in the state. CPI(M) Himachal Pradesh State member Secretariat Rakesh Singha lambasted the police for having failed to protect the life of Jindan as he had earlier lodged an FIR against 35 persons fearing threat perception to his life. This is a blot on the functioning of the police, he alleged. He demanded free and fair investigation in the case, immediate arrest of all those involved in the murder, compensation, government job for the victim’s wife and free education upto graduation for the two daughter’s of Jindan and security for the family. He also demanded security to the eye-witness of the gruesome murder. The protest was only called off after the Education minister Suresh Bhardwaj reached the spot at 5.30 am to pacify those holding protest and accepted their demands. Education is a distant dream for them!